US buyers that want to swap large displays for wearable screens might want to check out Sony's online store, where the HMZ-T3W is now available for pre-order for $999. 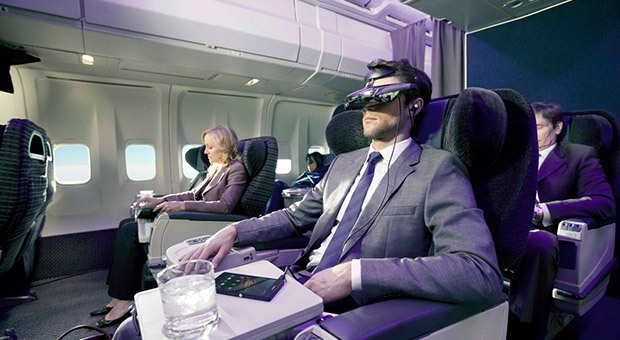 Hirai and Co. claims this third iteration of the head-mounted display comes with dual OLED monitors that simulate sitting 65 feet away from an enormous 750-inch screen. The wireless version that's up on Sony's website -- a wired version might come out in the future -- can stream content up to 7 meters away from the source, although it's still tethered to a small battery pack. One of our favorite features, however, is that it plugs into smartphones and tablets via MHL or micro-HDMI. The units won't start shipping until next month, but those who'd like to watch movies or game à la Geordi La Forge better start writing that letter to Santa. New Sony HMZ-T3W Personal 3D Viewer with Twin OLED Screens Delivers Immersive 'Big Screen' Experience and Now "On the Go"
SAN DIEGO, Oct. 7, 2013 /PRNewswire/ -- Sony Electronics today introduced its next-generation Personal 3D Viewer (model HMZ-T3W), the world's premier wearable high definition visual display featuring twin OLED screens. Light and comfortable From lengthy gaming sessions to movie marathons, consumers will be absorbed in immersive entertainment with supreme comfort. The ergonomically-styled head mounted unit features flexible headbands that quickly adjust to fit almost everyone. There's a large, cushioned head pad to reduce wear pressure, plus easy lens adjustment for relaxed, fatigue-free viewing. Portable Head-mounted HMZ-T3W viewers are no longer tethered to an AC power socket. The handy, compact battery box keeps the HMZ-T3W powered for hours to enjoy videos or games on the move. Additionally, when connected via MHL, the device will also charge the battery of mobile devices like smartphones and tablets while being watched and played. In addition, the HMZ-T3W also connects via HDMI®. 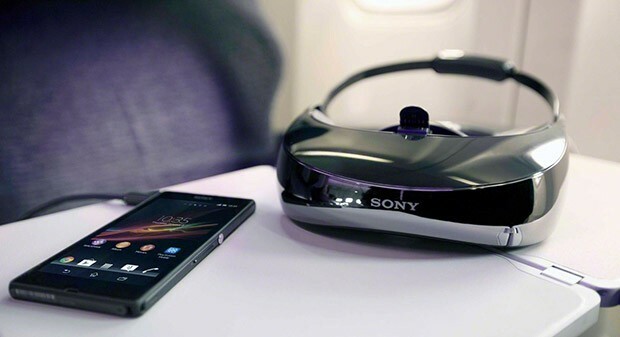 Play to win The Sony HMZ-T3W portable 3D viewer keeps serious gamers in the game with speedy responses from its twin OLED screens and no annoying on-screen image lag. A one-touch button instantly boosts contrast and enhances shape details (game-mode), allowing gamers to relish the competitive edge in dimly-lit scenes where danger's always lurking. It's the perfect way to enjoy favorite titles, from fast paced shoot-'em-ups to tire-burning car rallies. Plus, there is no fumbling for the right keys in mid-game - the ergonomic visor-style headset gives an unobstructed 'look-down' view of your PC's keyboard and mouse while you play. Surround Sound Thrilling 7.1 channel virtual sound adds an extra dimension of realism to movies and games on the HMZ-T3W. Consumers can listen through either the supplied 16mm driver in-ear phones or pair the HMZ-T3W with their own favorite headphones. Whichever option chosen, Sony's Virtual Surround Technology creates an impressive 360 degree soundstage with dialogue, music and effects placed accurately around the viewer. It's like being in the cinema – or right in the action as the gaming battles rage around you. 0 Response to "Sony HMZ-T3W wearable display is up for pre-order in the US, costs $999"